Is Your City Gen Y Cool? 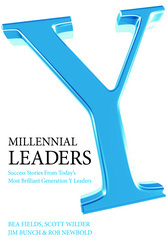 In chapter 3 of Millennial Leaders, we talked to Dr. Rebecca Ryan of Next Generation Consulting about what it takes for a city to be “cool enough” for Gen Y to want to live there. 1) Vitality. This is the communityâ€™s commitment to the environment. 2) Earning index. Does the city have a breadth of occupational options. 3) Learning index. Great K-12 education and options for contuning ed are a must. 4) After hours index. How much is there to do after 5:00 p.m.? 5) Around town index. How easy is it to get around town and “stroll” from one place to the next without having to drive from location to location? 6) Cost of lifestyle. Can Gen Y afford to live in the city? 7) Social network. Does the city have a rich social fabric, including a diversity of backgrounds and cultures? For more information on Next Generation Consulting services, visit here..